The San Jose Flood Victims Relief Fund will support nonprofit organizations providing immediate and long-term relief and recovery assistance to flood victims in San Jose. 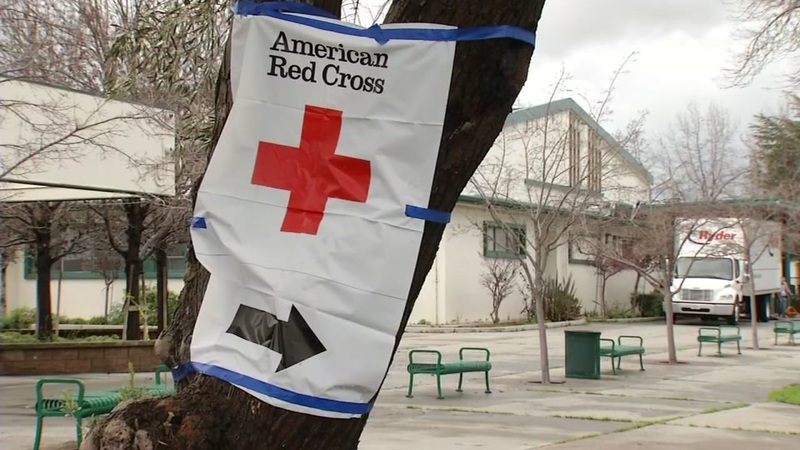 Organizations that will benefit from this relief fund in order to help those who need it most include American Red Cross, Catholic Charities of Santa Clara County, Sacred Heart Community Service, and The Salvation Army. Click here to donate. The Red Cross has resources available for those who have lost their homes or need assistance during the evacuations. You can help those affected by donating your time or any amount of money here. To donate, click here, call 1-800-Red-Cross (1-800-733-2767) or text REDCROSS to 90999 to make a $10 donation. You can also sign up to volunteer by clicking here. The San Jose Earthquakes are taking steps to aid families affected by the flooding in San Jose. They set up a fundraiser page and have pledged to match the first $10,000 donated towards relief efforts. Donations can be made by clicking here or by texting QUAKES74 to 52182. The San Jose Sharks announced they will support flood victims with a $20,000 donation from the Sharks Foundation and at upcoming home games on Thursday, March 9, Saturday, March 11 and Sunday, March 12, through the Foundation's 50/50 Raffle. The $20,000 donation and half of the evening's jackpot, during all three games, will be donated to the San Jose Flood Victims Relief Fund at Silicon Valley Community Foundation to support nonprofit organizations providing immediate and long-term relief and recovery assistance to flood victims in San Jose. The Sharks Foundation will also accept monetary donations during each game at the Sharks Foundation booth located at section 118 on the concourse or to donate now, click here. The following guidelines have been provided by the Public Health and Environmental Health Departments for anyone who has been in contact with floodwaters: Wash your hands thoroughly with soap and clean water. If any part of your body has come in contact with floodwaters, wash with soap and clean water. If you have children who have come in contact with floodwater, make sure they wash too. Click here for more information. We talked to the consumer advocacy group, United Policyholders, and they said you should take pictures before and after the evacuation, document how much water entered your home and itemize your possessions by taking photos. Click here for more information from 7 on Your Side's Michael Finney.